Having a commercial driver’s license or CDL will give you the opportunity to work as a truck driver or other similar vehicles in the state of West Virginia. To drive a commercial vehicle within WV you must be 18 years or older. Those who desire to drive interstate or outside of the state must be at least 21 years old. 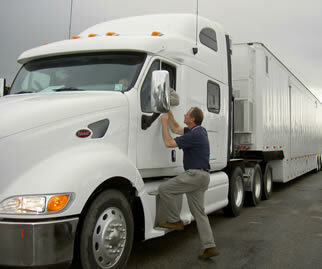 Visit this page to learn more about the requirements to become a truck driver in West Virginia. The Bureau of Labor Statistics reports that truck drivers in West Virginia earn an estimated annual salary of $34,230. Although this might be one of the lowest pay rates in the country, you can still earn more by paying attention to the industry you are going to work in. Examples of the top industries in the state include hazardous materials, cement mixing, petroleum, and agriculture. Other factors that might affect your salary are seniority, number of hours on the road, and the employer. • Pass the vision and/or physical exams and knowledge tests required for a CDL. All applicants must take the General Knowledge test after submitting all the required application materials. You can only proceed to take the written exam if you pass the vision test. Applicants who wish to have endorsements added to their CDL will be required to take additional tests for each endorsement they wish to have. • CDL permits are only valid for 6 months. You can only renew your CDL permit once after it expires. • If your CDL expires after renewing it, you’ll have to start all over. 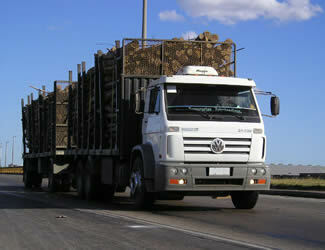 • You can only operate a commercial vehicle if you are accompanied by a licensed driver. • Your permit must be valid for the type of vehicle you’re driving. If you feel that you have gained enough driving experience, visit your local DMV office to schedule a date for your skills test. Applicants must pay $75 for the exam fee as well as provide their own vehicles for the tests. The skills tests are divided into a pre-trip inspection, basic skills demonstration, and on-road testing. You must pass all three parts to receive your CDL. A truck driving license in West Virginia is an important aspect of commercial truck driving in this state. State and federal rules now require all commercial truck drivers to possess a CDL before they can be allowed to drive either intra- or interstate. These new regulations were put to effect due to the recent number of accidents and threats to national security which have occurred during the past few years. As a solution to these problems, the state imposed certain standards with which commercial truck drivers should comply with in order to earn their license. This state does not require any type of truck driver training before you can apply for a CDL. But they do impose certain requirements before you can apply for it. The first is the age requirement. Applicants should be at least 18 years old and should have at least been driving for two (2) years. This means that they should have a valid Class D license before they can apply for a license. They would also need to self-certify the type of commercial driving that they would do in the future. Forms for the self-certification can be acquired from the local DMV office near your area. Next, you will have to apply for a Commercial Driver’s Instruction Permit from the Charleston DMV office. For this you will need to study the West Virginia CDL Manual, fill-out an application form, and undergo a DOT medical certification and visual test. At the Charleston office, you will have to submit these documents together with the application fees: $25 and other driver licensing fees. If you wish to file for additional endorsements, you will need to pay $10 for each type of endorsement. You can also opt to mail these documents to the Charleston Office. You will then be notified as to your appointed schedule of taking the written test for the instruction permit. If you pass the test, you will be provided with the permit which shall be valid for six (6) months. You can then drive the type of commercial vehicle that you are applying for as long as you are with an individual who is licensed to drive that particular vehicle. You may also want to study the West Virginia CDL Manual as it contains the particular areas in which you will be tested on during the road test. When you think that you have learned everything that you need to know about truck driving and before the permit expires, you can then proceed to apply for a road test. Visit or contact the Charleston DMV office to do this so you can receive your test schedule. This can be done either through the DMV office or through a third-party tester which is usually a trucking company that had partnered with the DMV. The road test will include a pre-trip inspection, a basic skills test, and an actual road test on various traffic conditions. If you pass these tests, you will then be provided with a truck driving license in West Virginia. Truck driving schools in WV can help one learn the basics of driving a tractor-trailer as well as provide the knowledge to pass the state driving exams. Training facilities can be a great help to those with no prior experience behind the wheel. Additionally, many schools offer help with job placement for their grads which can be valuable when first starting out. Classes can often be completed in a few weeks and many facilities offer financing to help with the costs. To learn more about the CDL requirements you should check out the state’s motor vehicles website as well as download the CDL manual linked below.